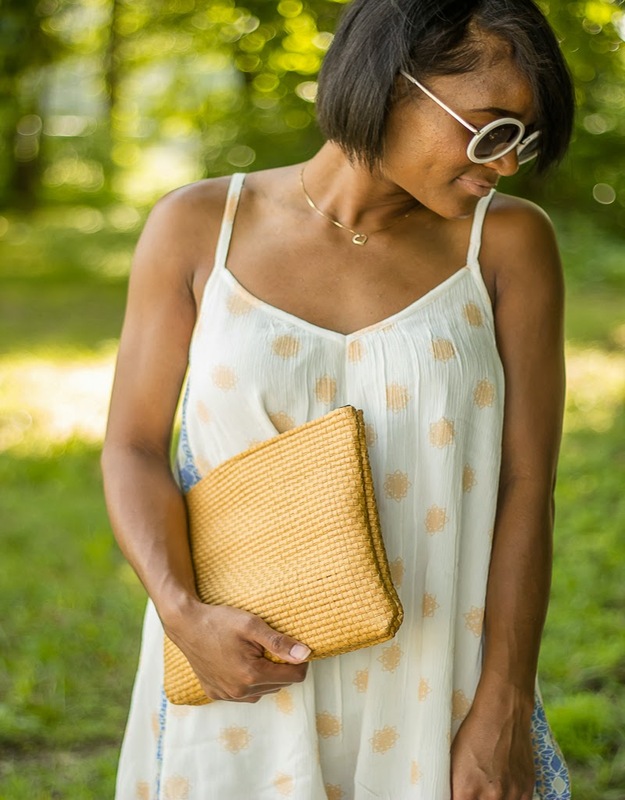 Simple summer dressing topped off with a woven clutch. Now lets just hope the summer weather arrives and stays! Soo pretty, I love the detail in the back! That baby doll dress is so so cute on you!! Absolutely love it!